10 March 2017 – David Stockman has issued an urgent market warning for March 15th, the first time I’ve seen him do this since I’ve started following his market commentary. In this post, I attempt to relay his warning and also corroborate it against what other people I follow are also saying. As always, writing about these things helps me to gain a deeper understanding of these complex issues. For more detail, please refer to the source material listed at the bottom. Also happening during the week of 15 March, the Federal Reserve has indicated they plan on raising interest rates. They say they are doing this because the economy has finally recovered, although Stockman disagrees. 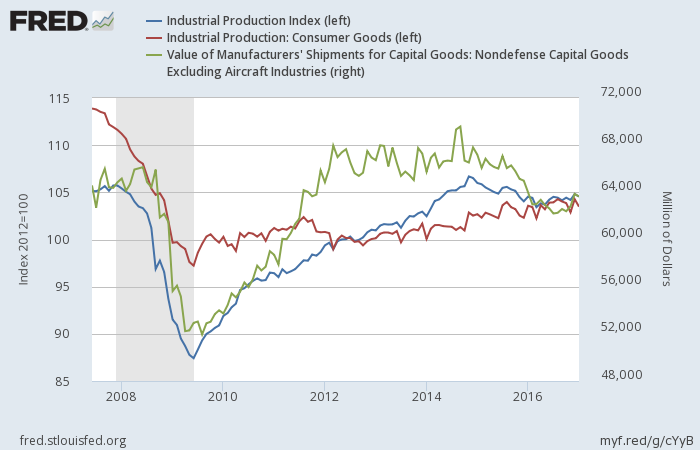 As he points out, since the pre-recession peak consumer goods production is down 9%, non-defense capital shipments are down 4%, and overall industrial production including energy and utilities is down 1%. These are not the signs of a recovered economy and, although labor statistics seem favorable, this is widely accepted as being a lagging indicator. As such, Stockman concludes that Whammy #1 to the stock market will be a draining of cash resulting from the increased interest rates. Raising interest rates will increase the cost of borrowing and will make the stock market appear less attractive relative to bonds. However, Whammy #2 according to Stockman will be more important. Despite the influx of cash from tax collections, Stockman predicts the government will be out of cash before Memorial Day. Instead of building or even saving cash in advance of the upcoming political battle over the debt ceiling, Trump will have run down the cash balance to nearly zero. With a fractured Congress, Stockman argues this will make it nearly impossible pass any sort of Trump tax stimulus, one of the widely held justifications for increased stock prices. At the same time, the Treasury will be forced to decrease its trust fund investments and free up room for raising money from the public. Borrowing from the public will drain money from the government bond dealers, effectively “draining hundreds of billions from Wall Street on a recurring basis for the first time in 20 years.” This drain, combined with the mainstream news networks hyping up the debt ceiling crisis, will lead to a selling frenzy further exasperated by emotionless high frequency trading algorithms. In conclusion, Stockman believes the stock market is about to be rocked through the combined effect of money being drained out of Wall Street and the loss of faith that the promised Trump tax stimulus will be coming. However, to be clear: he’s stating it will happen sometime on or after 15 March, not necessarily the exact date. John Hussman states in his weekly market commentary dated 20 February 2017, “We continue to view recent market action as the likely final blowoff of one of the most extreme speculative episodes in US history.”  He goes on to state in his most recent weekly market commentary on 6 March 2017 that their metrics now show this as the most broadly overvalued market in US history. 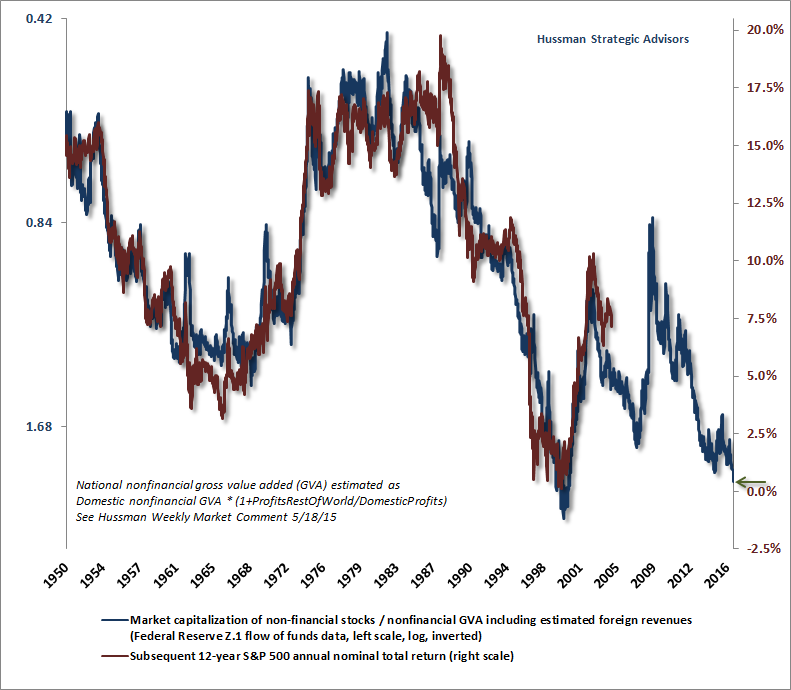 Hussman’s preferred metric in predicting stock market performance is the ratio of nonfinancial market capitalization to corporate gross value-added. He has tested this against historical data and found it to be more predictive than price to earnings, price to forward earnings, price to book, price to dividends, EBITDA, the Fed Model, Tobin’s Q, market gap to GDP, NIPA profits cyclically adjusted price to earnings (CAPE), and the Shiller CAPE. According to his model, he predicts the S&P will return less than 1% over the next 12 years and that an interim market loss between 50 and 60% would be required to return the market simply to fair value. Therefore, Hussman is firmly in the camp of a major market correction, which does line up with what Stockman has been warning. Martin Armstrong takes a different approach to analyzing markets. He tends to look at global capital flows within the context of very long societal cycles. Most of the people I follow tend to believe we are headed for a massive deflationary event that involves a stock market crash the likes of which ushered in the Great Depression. However, Armstrong believes that as the public tires of too much government control that sovereign debt crises will lead to a collapse of the bond market and a flood of capital into private equities. He feels that although a short-term pullback in the stock market could happen, that the long-term trend will result in huge surges in the price of gold and corporate stocks, picking up steam in October 2017, culminating in October 2018, and bottoming out in January 2020. 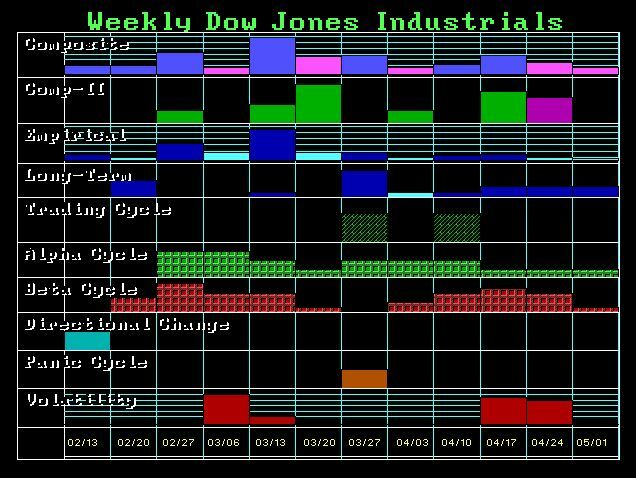 That being said, his short-term stock market indicators are suggesting short-term volatility, a turning point occurring during the week of 13 March, and a panic happening the week of 27 March. This does seem to line up with Stockman’s warning that major declines in the stock market could happen sometimes shortly after 15 March. None of us have a crystal ball. I have been a market bear for the past two years yet the market has continued powering forward. However, my instincts continue to tell me that fundamentals will eventually win out. We have simply been piling on too much debt for too long. The wealth divide has grown to obscene levels and the working man is struggling to feed his family. This has led to the election of Donald Trump, which I predicted, and now that he is in power I think people will eventually be forced into the sad realization that not only is the mirage of prosperity dissipating, that even those who already knew it was a mirage will come to realize that an easy resolution is nothing more than wishful thinking. I believe the Federal Reserve Bank has no choice but to raise interest rates but that it could shock the market. I believe Donald Trump to be the “Great Disruptor” and that 2017 will finally be the year that financial markets start unraveling. As such, I’ve been slowly increasing my short position against the stock market and have accelerated that effort in the past couple of weeks. The disconnect between economic fundamentals and stock market valuations has simply become too great for me to believe this won’t end badly. One thing’s for certain: the next several years are bound to be exciting for one reason or another. For now, my financials remain on Red Alert and my spirit remains happily geared towards exploring all the universe and life have to offer.